Meat or poultry, brisket, chicken, turkey, pork. There are many ways that you can refer to protein, but what’s the difference between all of them when it comes to BBQ? Obviously, you can tell the difference between fried chicken and a hamburger, but what about telling the difference between the meats that have a delicious BBQ sauce on them, like brisket versus pulled pork? What can you expect from BBQ chicken in comparison to turkey? 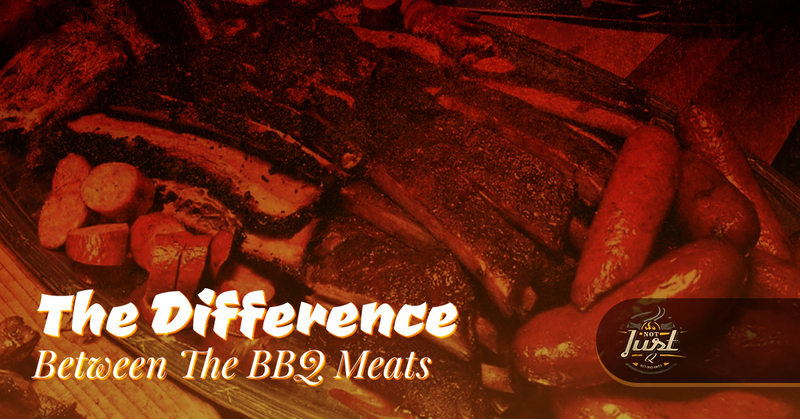 In today’s blog, we’ll be diving into the differences between these meats when they have been barbecued. For further information on the items on our menu, contact us today. What Meats Do We Offer? Meat is something that humans have enjoyed for thousands of years. Since prehistoric times, humans have hunted and killed for food. While we don’t have to hunt or kill our food anymore — thanks to butchers and grocery stores — we still do enjoy eating meat during a meal. Whether it’s bacon and sausage for breakfast, a deli sandwich for lunch, or some delicious BBQ for dinner, eating meat and poultry is something many people enjoy. However, when it comes to figuring out what BBQ meats you want for your catered event, it can be a bit hard. For that reason, we’re going to dive into the differences in meats when it comes to eating BBQ. Below are all the options that we offer, but which one do you want to serve to your guests? Thick and juicy, this type of meat will not disappoint your guests or yourself when you take that first initial bite. Sausage is a tasty option if you enjoy eating pork or beef. The sausage family includes options like hot dogs and bratwurst, but our smoked sausage offers a much more well-rounded taste than those staid options. If you’re interested in purchasing sausage for your special event, choose a portion by the pound or add it to your meat sampler. Additionally, we can add sausage into our tacos, which have a delicious cilantro slaw to really bring the flavors out. Who doesn’t love turkey? While it might bring to mind Thanksgiving or Christmas dinner, turkey can be a healthier option due to the impact of protein and amino acids. With one serving of turkey, you can get 65 percent of the daily recommended intake of protein. While turkey legs may be famous at fairs, when you eat this option in BBQ, you’ll wonder how you can go back to eating it prepared any other way. Our barbecue turkey is available in tacos as well. Slide off the bone ribs — how can you go wrong when choosing this option for your special event? Ribs are such an American staple when it comes to BBQ. You can’t go wrong when you add ribs to your menu. We have two different orders of ribs that you can take advantage of: choose a half-rack or full, or order multiple racks depending on the size of your event. This option will brighten your taste buds and fill yours and your guests’ stomachs. Our ribs are unmatched in the Dallas area, so don’t skip them in your next catering order. If you just want to enjoy pork that’s not sausage or ribs, then we have you covered. BBQ pork can be one of the best options because while it’s a little more simple, it’s not any less delicious. Our barbecue pork is treated with the same love and attention as our ribs or brisket, so you can trust you’ll get flavorful, juicy meat. You can also add it into our tacos with cilantro slaw if you’d like to add a different element to your meal. A beef option that we serve is brisket. For those who aren’t familiar with this delicious tender and pull-apart option, we can only guess you haven’t been in Texas that long. Brisket is made from the lower chest of beef. It’s one of the beef primal cuts — there are nine — and it’s one of those dishes that differ internationally. Brisket can actually be traced back all the way to the Native Americans in southern Texas. It’s something that’s been in Texas culture for hundreds of years, which makes it a staple of Texas BBQ. Add a little Texan history to your catered event with this well-loved option. A favorite for many, chicken is something so many people enjoy, especially when it’s barbecued. Barbecue chicken is so delicious, especially when it’s grilled to perfection and is juicy enough to enjoy. Chicken can either come in a half pound or a full one. You can also get it in tacos or add it to your meat sampler. 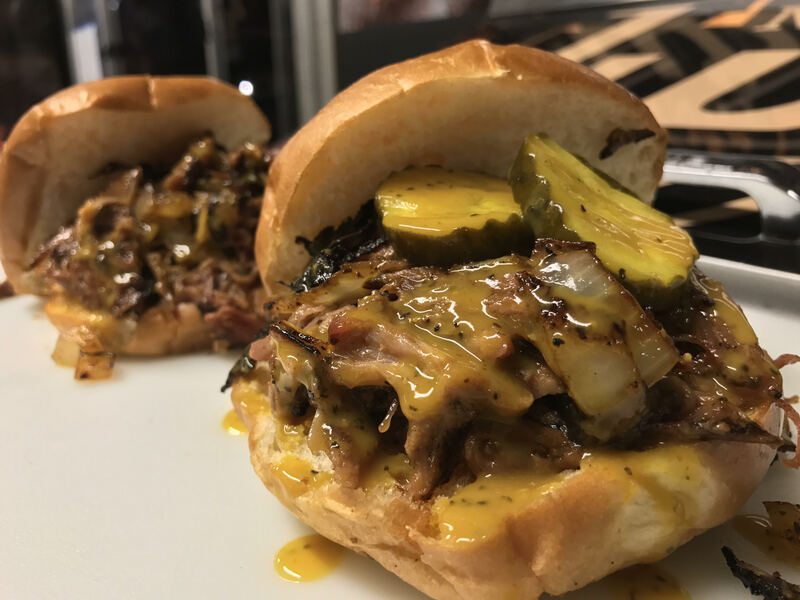 Are you ready to enjoy some tasty BBQ at your special event? 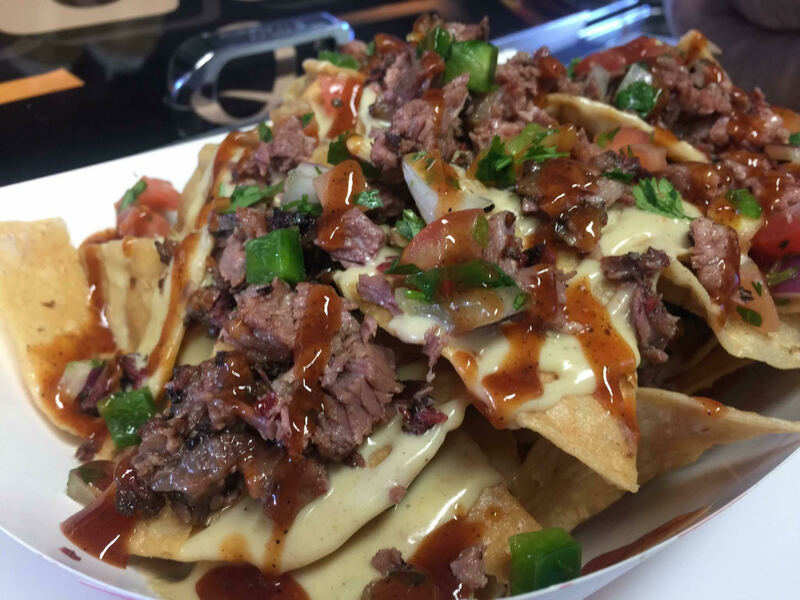 Not Just Q’s barbecue is better than the rest because of the love and passion we pour into each batch. For more information, reach out to Not Just Q.